Mega Moolah from Microgaming is one of the most famous slot games in the world, made famous by the fact that it holds the record for the largest ever jackpot pay-out from an online slot. That £13.2 million jackpot was paid out to a lucky 26-year-old soldier from Cheshire, England in October 2015, and that sum has yet to be surpassed. 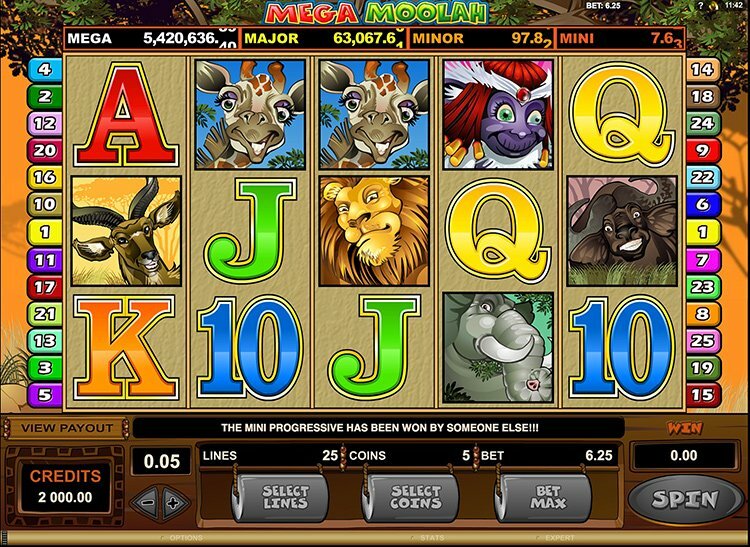 Besides its record jackpots, there is nothing particularly exceptional about the Mega Moolah game. Of course, that’s a bit like saying there is nothing particularly exceptional about the Paris sky-line if you removed the Eiffel Tower! This game is populated by the type of animals you might see on an African safari, meaning you won’t find any gorillas here. 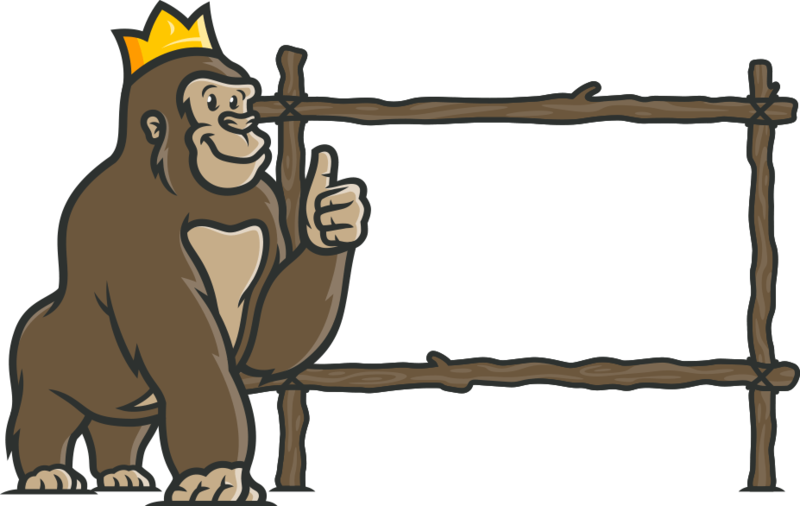 That doesn’t stop the Casino Gorilla from giving it the once over, although it’s certainly not the first time he’s played this particular slot. This game was released all the way back in 2006, so perhaps it’s unsurprising that the graphics look a little dated today. The return to player of 88.12% is not exactly generous, but the lure of that progressive jackpot keeps players coming back for more. This is a standard 5×3 reel game with 25 pay-lines and bets ranging from 25p to £6.25. Any spin can randomly trigger the progressive jackpot, although your chances increase if you make the maximum bet per spin. The standard game jackpot is 15,000 coins, but of course the progressive jackpot can increase to far greater amounts. Tempted to see if you can nab that giant jackpot for yourself? This game is available in all Microgaming powered online casinos and is simple to play. Make sure that you choose your preferred bet amount, as it does default to the higher bet level automatically. 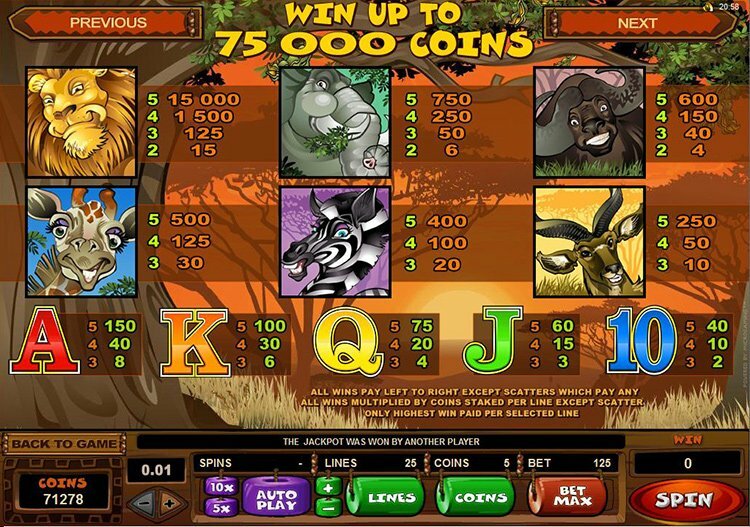 Match three or more of the same symbols on this safari-themed game to win cash. 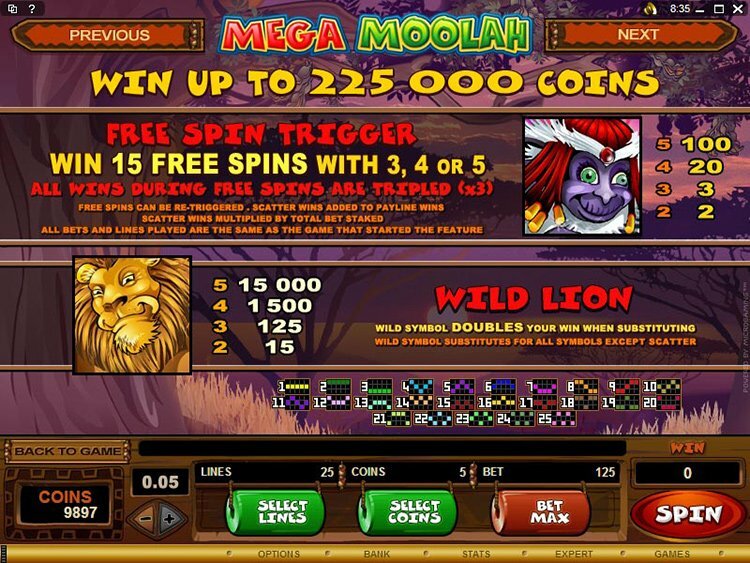 Mega Moolah suffers by comparison to modern online slot games when it comes to graphics and visuals in general. Very few slots have had a life-span of more than ten years, making this game something of a blast from the past. It makes the standard gaming experience less than enthralling, although you are always waiting and hoping to trigger that elusive jackpot. As with most slots, the bonus game is where you can start making bigger wins. 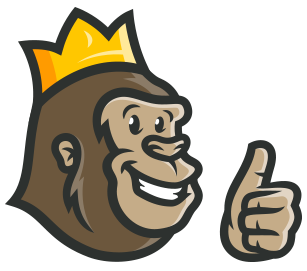 Find three monkey scatter symbols on the reels and you start a generous 15 free spins offering wins multiplied by three. Along the top of the reels you will see four progressive jackpot totals, ranging from the mini to the mega jackpot. After any spin a bonus wheel of fortune can appear. You spin the wheel to reveal which jackpot amount that you have won. One of the joys of any slot game is when you manage to trigger a bonus round to get yourself some free spins. 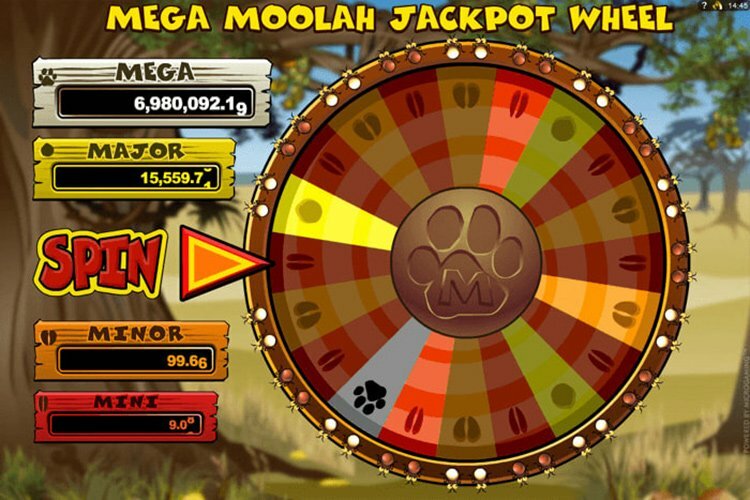 With fifteen free spins and a 3x multiplier Mega Moolah is reasonably generous in this regard. The only problem is that it can take an awful long time to actually trigger that bonus round. When it does finally show up you need to take full advantage. As we mentioned previously, there are four different levels of progressive jackpot to play for with Mega Moolah. These are the mini, minor, major and mega jackpots. If you win the mini jackpot you could be looking at a prize of around £100 – not bad but pretty disappointing compared to what’s on offer from the others. The so-called minor jackpot will be worth thousands, with tens or even hundreds of thousands at stake if you win the major jackpot. And of course we have seen that the mega jackpot lives up to its name and could potentially deliver a life-changing sum of money. However dated Mega Moolah may appear, there is no danger of it going out of fashion any time soon. If there is one thing that slot players love it is a progressive jackpot game, and the monster sums on offer here will always draw a crowd. Graphics are nice, but money talks! Regular game play is not particularly exciting, and it lacks the bells and whistles that a modern slot gaming experience can provide. When compared with new releases from Microgaming this title certainly shows its age. Still, the eye is always drawn to those progressive jackpot sums as they tick higher and higher. That’s why this game has stayed popular since way back in 2006, and why it will keep attracting players for years to come. a worthwhile adventure. Best jackpot game online! There are nice payouts and I have won many times on this game. The jackpot is huge, so I keep spinning to try to win. Great game, amazing payout! One of the most popular jackpot slots out there. I absolutely love the bonuses and every feature of the game. Along with free spins and wilds, you’ll hit jackpot in every other spin.